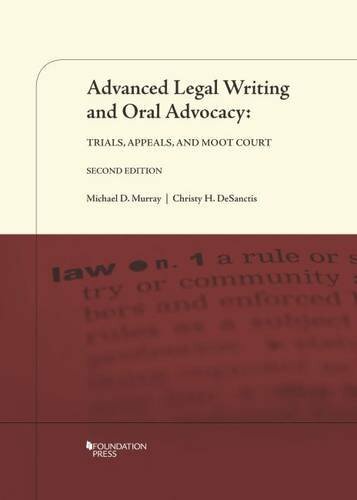 This coursebook is designed for second semester and upper-division advanced writing courses involving advocacy and oral argument at the trial or appellate levels and in moot court competitions. We retained all the best features of the original―an ebook of the text that is searchable and highly portable, and a visually friendly layout and design. The new edition plunges ahead of the competition in the legal writing and advocacy book market with six new chapters, scores of new examples of actual practitioner writing, and a new focus on the conjunction of rhetoric and storytelling, advanced synthesis, and advanced argumentation techniques that extend the book’s usefulness for training practice-ready lawyers.